Pot roast is the sweat suit of the culinary world: comfortable, doesn’t really take much thought to throw it on, and at times, just sort of sad. But this recipe for pot roast is much sexier. It’s less sweatpants and far more hot pants. And it’s really not much more difficult than your traditional dump-everything-in-a-pot and-cook-all-day classic. A couple of fancy ingredients makeover the grayish stew we all remember into something more special and worthy of a nice bottle of red wine. 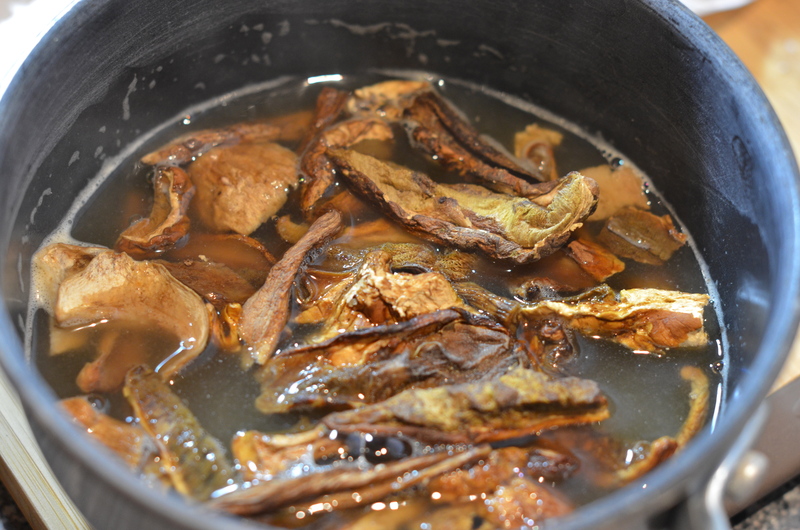 First things first, you need to revive the dried mushrooms. 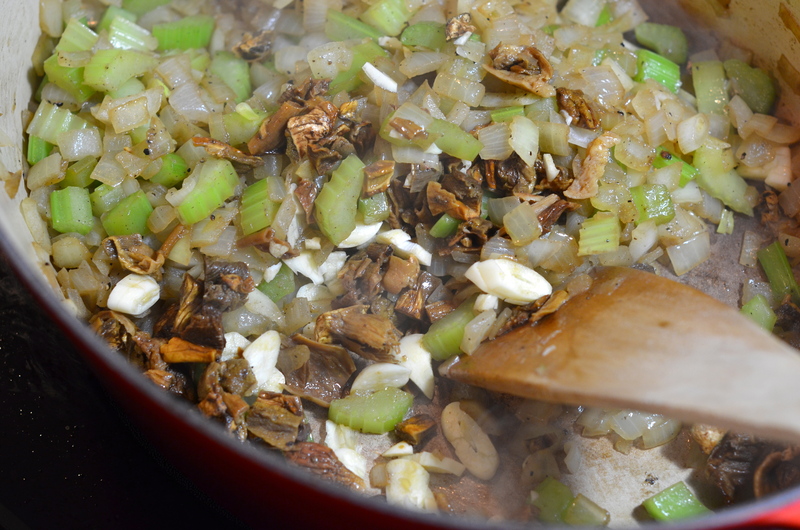 Bring the cup of chicken stock to boil on the stove and add the mushrooms. Take off the heat and cover for 15-20 minutes until they reconstitute. 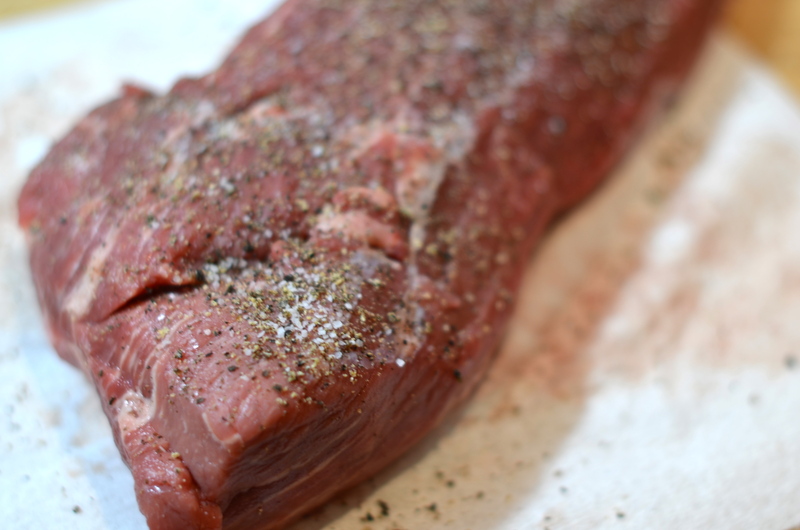 While that’s happening, grab your hunk of meat and season with salt and pepper. 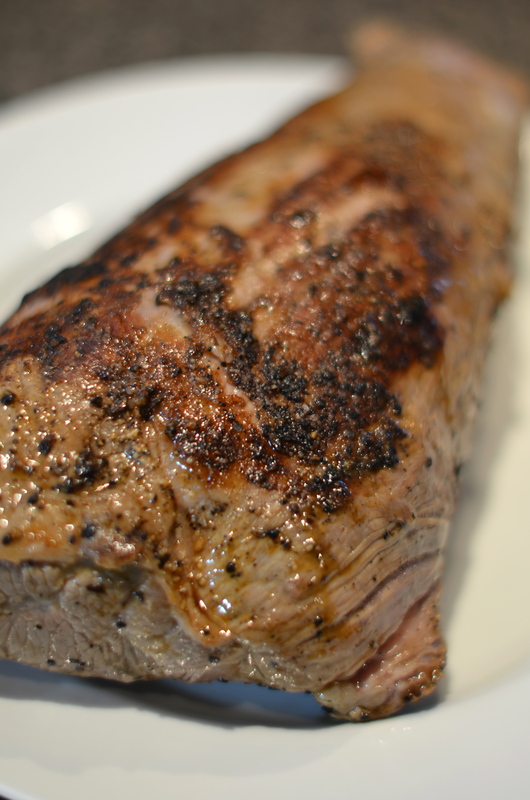 Heat a tablespoon of olive oil in a large dutch oven over medium high heat and brown the chuck roast on all sides. While the meat is browning, chop your veg. 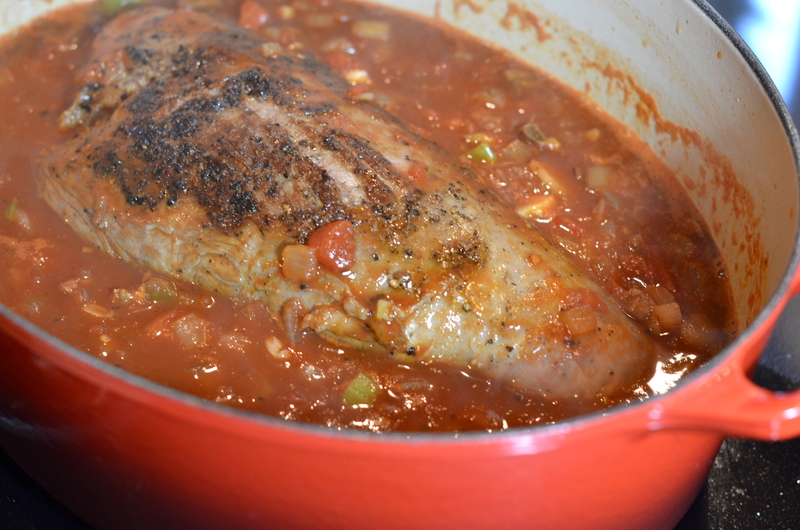 Pull the roast out of the dutch oven and set on a plate to hang out while you get its tasty bath ready. 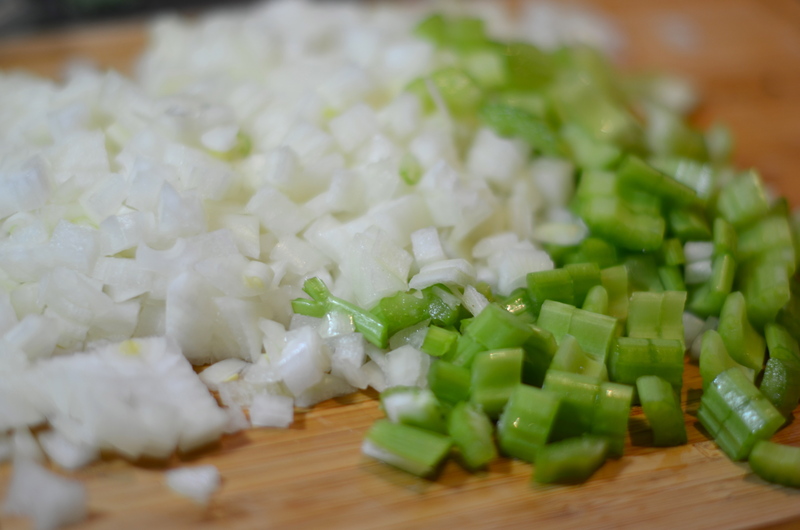 Keep the dutch oven at medium to medium-high heat and add the onions and celery to cook until they begin to brown – about 6-7 minutes. 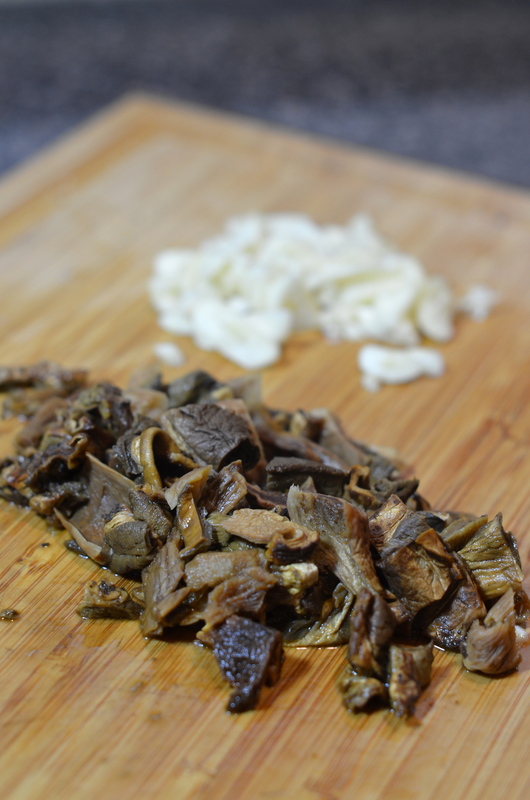 While they’re browning, grab your mushrooms in stock and fish them out with a slotted spoon, taking care to save the liquid. Roughly chop your mushrooms and garlic. Add the garlic and porcinis to the browned onions and celery and cook for another minute. Now add the tomatoes and chicken/porcini broth to the pan. If you only have diced or crushed tomatoes like I did, don’t worry about it. Those will work just fine. 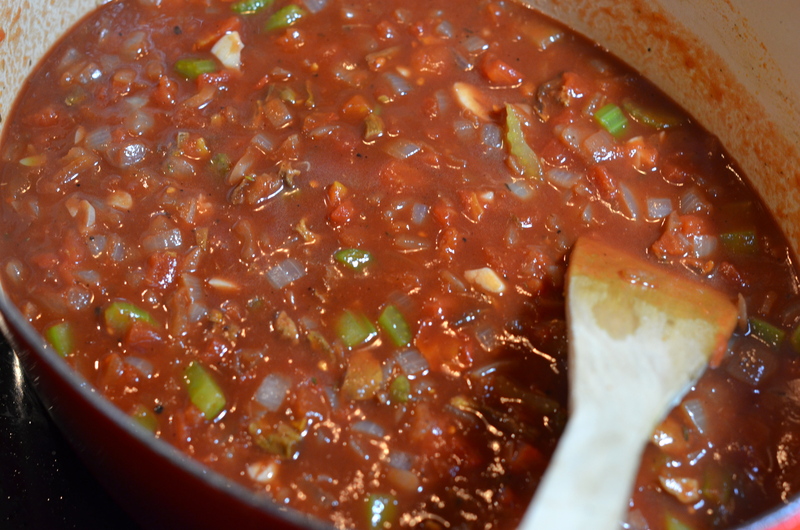 After cooking the tomatoes for about 5 minutes, add the cup of red wine and bring the mixture to a boil. Remember the beef? Take that little guy and nestle him in that tasty liquid and pop the lid on the whole thing. Put it in your preheated oven and cook for an hour and a half. Pull the dutch oven out and flip the meat over and cook for another hour and a half or until it begins to get nice and tender. I think we cooked ours for closer to three and a half hours. Once the beast has spent its allocated time in the oven, pull the roast out and set aside, tented with foil, while you finish the sauce. Bring the mixture to a boil and reduce for 5-10 minutes until it’s the consistency you like. 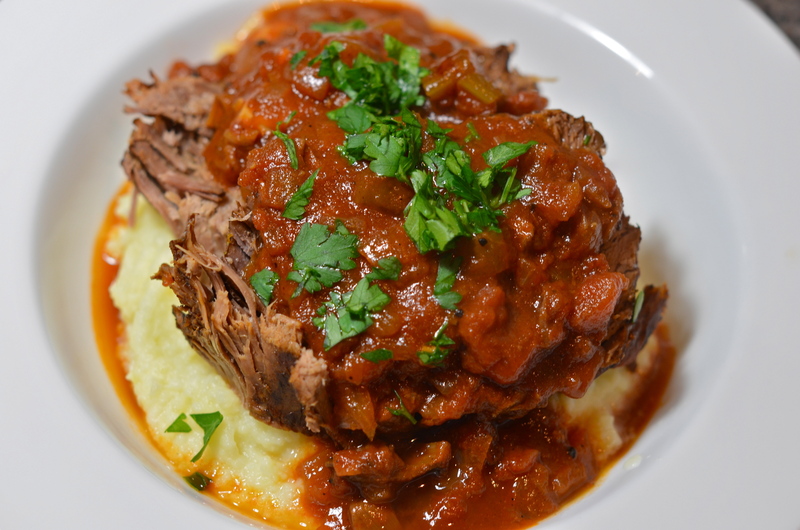 Slice up the pot roast and serve over mashed potatoes with a healthy ladleful of sauce. Now, ain’t that pretty? Take off that sweat suit and throw on some heels.